Only less than 1 minute walking from Shilin Night Market and 3 minutes walking from the Metro Shilin station. Happy Taipei offers comfortable accommodation with its ideal location helping you reach anywhere of Taipei by public transportation. All rooms are fitted with a heater, an air conditioner and each bed has its own universal adapter and reading light. 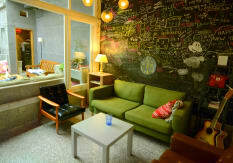 Free Wi-Fi available throughout the hostel and in all guestrooms. Free breakfast is served every day. Plus, our friendly staffs are always available to help your travel. 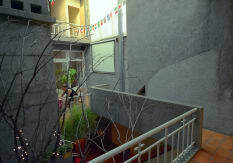 If you are looking for the most joyful hostel with dynamic atmosphere, Happy Taipei is your place. *Working hours is between 8:30am-9:00pm. If you are going to be here after 9pm, please double check with us. Check-in time is after 2:00pm. *Valid International Passport is strictly required to present for check-in. *The total amount will be requested if staying in English New Year, and cancellation in 7 days will be fulled charge. *The balance due can be paid only by cash (TWD) once arrival. We do not accept personal checks and credit cards. Not many private exchanger around Taipei, you can exchange money at the airport(24hrs) or bank(mon-fri 9am-3pm). *Please email us if you haven’t got any personal confirmation email with details and map in two days from our hostel. *Here is no elevator, please pack lightly. *KFC, 24 hours foot massage just downstairs. *Bus Stop for Yangming Mountain just downstairs. *24 hours convenience store just downstairs. *Starbucks, movie theater, bowling, Gym, swimming pool just block away. *Bus Stop for National Palace Museum just downstairs. *FREE drinking water and tea. *FREE shampoo, shower gel, detergent, WiFi, adapter, slipper, hair-dryer. *Washing machine and Coin-operated dryer are available. 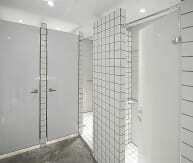 *Heater, air conditioner for each guestroom. Bus stop of Yangmingshan National Park/National Palace Museum/Keelung/Taoyuan (Jiantan Station), Taipei Children's Amusement Park (Jiantan Station), Chiang Kai-Shek Residence (Shilin Station), SOGO department store with DIN TAI FUNG inside (Zhishan Station), Taipei fine Arts Museum (Yuanshan Station), Taipei Confucius Temple (Yuanshan Station). Danshui River district (Danshui Station), Longshan Temple (Longshan Temple Station), OMNI Nightclub (Zhongxiao Dunhua Station), Room 18 Nightclub (Taipei 101 Station), Taipei 101 (Taipei 101 Station), Taipei World Trade Center (Taipei 101Station), Taipei Arena Ice Land (Nanjing E. Rd. Station), SongShan Airport (SongShan Airport Station). Shilin Night Market is the largest night market in Taiwan and a place you must to visit! In this big area, you can find food vendors and small eateries, and well-known online shops selling other nonfood items. In addition to the food court, side streets and alleys are lined with storefronts and roadside stands. Its open 365 days a year. 3.Please keep facilities clean and not allowed to take away. 4.Any lost of key will be fined NTD300. 5.Keep your voice down and respect others after 12am. 6.Our Environment Concern - Turn off the light and air-conditioner when you leave the room. *There is no signage and no 24 hours reception. Check-in by appointment should be scheduled between 2:00 p.m. to 9:00 p.m.
*Done the rest once arrival, payment will be accepted in cash (NTD). We do not accept personal checks and credit cards. *No show or cancellation made in 2 days before arrival date, not including the check in day, will be full charged on whole booking. Any cancellation made once arrival as No show. *Please email us if you do not receive personal confirmation email with details and map after the one from booking system upon your booking completed in two days. With the email you will easy to find us. 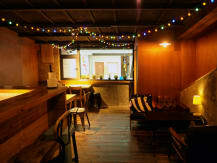 Welcome to Happy Taipei Hostel! *Working hours is between 9:00am-9:00pm. If you arrive here after 9pm, please double check with us. *No 24 hours reception. If you arrive here after 9pm, please double check with us. *The total amount will be requested to pay by Paypal or credit card before arrival if staying in English New Year Season, and cancellation or any change of reservation less than 7days before your arrival date will be considered as no show and you will be fully charged for whole amount. .
*The balance due can be paid only by cash (TWD) once arrival. We do not accept personal checks and credit cards. Not many private exchanger around Taipei, highly recommended exchange money at the airport(24hrs) or bank(mon-fri 9-3pm). Only less than 1 minute walking from Shilin Night Market and 3 minutes walking from the Metro Shilin station Exit #2 (Red line - Terminal Stations: Danshui-Xindian, Service Hours: 06:00~24:00). Please email us if you do not receive personal confirmation email with details and map after the one from booking system upon your booking completed in two days. With the email you will easy to find us as there is No Signage of the hostel. 3. Take MRT (Mass Rapid Transit) for Fare: NTD20-25 / one-way, per person, 2 to 6 stops takes 3 to 11 minutes. 1. If you arrive from Taipei railway station you go down straight along Zhongshan N. Rd. toward North until you see station on your left hand side. 2. If you arrive from highway No.1, please go down Chongqing S. Rd. Interchange / Off-Ramp / go along the road and through Bailing Bridge then take a right into Chengde Rd. / go down Chengde Rd. around 500meters. Meanwhile Metro station now is on your left hand side. Just less than 1 minute walking from SHILIN NIGHT MARKET and 3 minutes walking from Metro Shilin station Exit #2 on the red line. It is right in the heart of Taipei City and easy to go any famous spots of Taipei city such as Yangmingshan National Park, National Palace Museum, Beitou Hot Spring Resorts, Ximending, Longshan Temple, Chiang Kai-Shek Memorial Hall, Danshu, Taipei 101.